Bay of Fundy Tides: The Highest Tides in the World! Plan your own Bay of Fundy trip! Create your Bay of Fundy vacation using our FREE trip planner. Select what you're interested in to get started right away. Do you want to create a truly memorable Bay of Fundy vacation? Start with our collection of recommended travel resources. The diversity in the history that has played out along the shores of the Bay of Fundy is as dramatic as the tides themselves. The region is marked by the Aboriginal, French, English, American Loyalist and Irish peoples that have populated it throughout the years. Each has maintained a strong presence in the area as evident in the local culture, name places, traditions and architecture. A small island off the Bay of Fundy became the first European settlement in North America in 1604. Led by Sieur de Mons and accompanied by Samuel Champlain, and 79 men attempted to settle St. Croix Island. The first winter was tough on the explorers with ice flows cutting the new settlement off from the main land. Half of the men died of scurvy. The following summer they moved across the Bay to Port Royal in the present day Annapolis Valley, Nova Scotia. 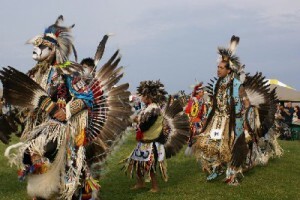 The aboriginal people that lived in and around the Bay of Fundy spoke the common Algonquin language, and were of the Mi’kmaq, the Montagnais, the Algonquin, the Attikamek, the Nipissing, the Abenaki, the Ottawa and the Ojibway tribes. Discover the historical activities available along the shores of the Bay of Fundy. My grandparents lived in Parrsboro, Nova Scotia and my father was born there. My grandfather was a master ship builder, his name was Burton Dyas. I was told that the ship builders worked on the ships when the tide was out and the ships were resting on dry land ( I suppose that was their “dry dock”). Years ago, when I visited my aunt in Parrsboro, she showed me a daily work log which my grandfather had kept on his employees who worked on the ships. He utilized one of his horses to haul lumber and that horse was listed in the log as Horse Dyas and was paid an hourly wage, which of course went to my grandfather. I wish I could remember what that wage was but I have forgotten. Parrsboro is a quaint little town, I have cousins who still live there. I wish to return some day. how did the bay of fundy get its name? There’s some disagreement about that. Some believe the name comes from the French word for split (Fendu), others say that it originates from the Portugese word for funnel (Fondo). My great grandfather was drowned in the Bay of Fundy in 1900. His name was James Cole and he was a fireman. The ship, City of Monticello went down and he, with it. I understand now why the ship wasn’t able to handle the amazing sea in the Bay of Fundy. I had no idea, and I was born in Massachusetts! I would like to know more about the incident and will be seeking out more information about the Acadians, as I have many ancestors. Thank you for all the information about the area and people – I appreciate it. when was the bay of fundy discovered and does any one know when fundy became a national park? 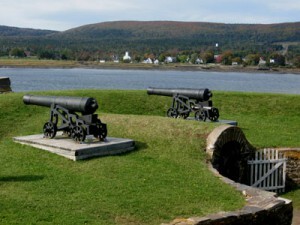 Probably around 1604, when a small island off the Bay of Fundy became the first European settlement in North America (https://www.bayoffundy.com/about/history/). I believe Fundy National Park wasn’t established as a National Park until 1948. We're in love with the stunning Bay of Fundy region and genuinely wish to share this natural wonder with everybody. We created this website to make planning your Bay of Fundy vacation less overwhelming. We hope that all of the free information on this website will help you discover all that there is to do and ultimately result in you exploring our beautiful shores in person.